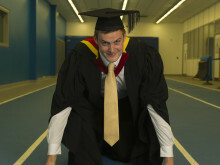 Four Northumbria University students are going for gold at Rio’s Paralympic Games this month. The quartet of swimmers have their eyes on the big prize after jetting out to the 2016 Games in South America. Leadership and Management students Harriet Lee and Claire Cashmore will join Andrew Mullen – who begins the same course at Northumbria in September – as part of Team GB in Rio. Meanwhile, Sport Management student, Taka Suzuki, will be representing his home country of Japan in the pool. Taka, who is the 2008 Paralympic gold medallist and former World Champion said: “It was inspiring to watch so many world class swimmers perform so well in Rio last month. I’m getting very excited now. It feels as if I’ve been waiting for this for the last four years and now I’m finally ready to go. The swimming begins on Thursday September 8th and will be running on eight of the 10 Paralympic competition days. The BA (Hons) Leadership and Management course is an innovative work-related degree programme that is designed to fit alongside an athlete’s existing sports career. It gives credit for prior sports training while preparing students for a career in leadership or management. The course makes the most of a sportsperson’s wealth of management skills and competencies. Having supported many sports professionals in the past, the University appreciates the need for complete learning flexibility. As such whilst completing the course students will receive ongoing individual guidance from tutors across Newcastle Business School, alongside full access to the range of on site and distance learning resources available. Claire was persuaded to go for gold in Rio by Northumbria University’s Head of Swimming, Louise Graham, and has since encouraged fellow swimmers to check out the University’s academic and sporting package. 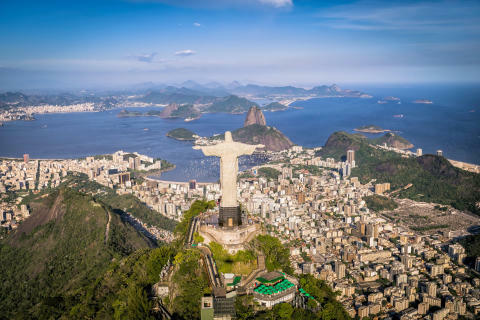 It was Claire and Harriet who persuaded new-starter Andrew to join Northumbria, and the Manchester-based student will begin the Leadership and Management degree, which he will study by distance-learning, when he returns from Rio. Andrew explained: “I had been discussing university options with some of the other GB swimmers and both Harriet and Claire suggested I get in touch with Louise and look at Northumbria. They both had nothing but good things to say about the academic support and standard of the swimming programme so it was a no-brainer in the end. Claire Cashmore made her debut for GB over ten years ago and has won medals at every level of competition including six Paralympic medals. Glasgow 2015 was Claire Cashmore’s fourth outing at a World Championships and once again she came away a multi-medallist; a gold, silver and bronze. 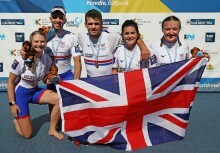 Helping the British team to the title in the 34pt 4x100m Medley relay. Having taken gold in the SB8 100m breast at the British Para International meet earlier in 2015, she came away with silver at the World champs. She continues to be a consistent and medal winning figure on the world stage in her classification. In 2014, Cashmore landed her first individual gold medal on the international stage, marking her third IPC Swimming European Championships with gold over SB8 100m Breaststroke. Further improvement followed in 2013 where she was part of the British team to win gold in both relays at the IPC World Championships in Montreal and also claimed SB8 100m Breaststroke silver and SM9 200m Individual Medley bronze. Claire Cashmore’s most successful Paralympic campaign was at London 2012 where Cashmore lifted individual silver in the SB8 100m Breaststroke as well as silver and bronze in the 34pt 4x100m Medley and 4x100m Freestyle Relays respectively. She won her third Paralympic medal with bronze at the 2008 Paralympics in Beijing, bronze at the 2009 Europeans in Reykjavik, silver at the 2010 Worlds in Eindhoven before another silver at the 2011 Europeans in Berlin. Cashmore won her first SB8 100m Breaststroke medal with silver at the 2006 World Championships in Durban and has since become a world leader in that event. Claire Cashmore broke through as a 16-year old at the 2004 Paralympics in Athens, winning bronze in the SM9 200m Individual Medley and S9 100m Backstroke. She has become a regular fixture on the international podium since then, winning individual medals at every major championship she has been to. Harriet Lee won her first international medal in 2010 when she won the world title in the 100m Breaststroke in Eindhoven and after coming back from illness and injury won bronze in London and this year will be aiming to secure her place at her second Paralympic Games. Lee is now based at the National Performance Centre in Manchester and is vying to return to the international stage in the build up to the Rio 2016 Paralympics. 2015 saw two promising swims at the British Para-Swimming International in Glasgow and a finals berth secured in her favoured event the 100m Breaststroke. Back in 2013 she won her first British Champs medal with a bronze in the MC 100m Breaststroke, this lead to qualification for her second outing at a Worlds. She won silver in the SB9 100m Breaststroke. 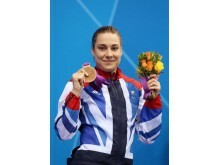 Lee had to wait until the last day of the Paralympic games to compete in her event, landing her bronze medal in front of a home crowd in London. Classified in early 2010 she showed her potential and qualified for her first World Championships in Eindhoven in the summer. Best Result: Setting a world record and winning gold for Japan in the 50m breaststroke at the 2008 Paralympic Games in Beijing. Takayuki Suzuki was part of the Japanese contingent at two Paralympics, 2004 Summer Paralympics and the 2008 Summer Paralympics. In 2004 he was part of the Japanese squad that won a silver medal in the 4x50m medley behind a new Paralympic record set by the Brazilian team; he was also part of the squad that finished fourth in the 4x50m freestyle. Individually he finished eighth in the individual medley and seventh in the 100m freestyle. At the 2008 games Takayuki set a new world record in the heats of the 50m breaststroke going on to win the gold medal in the final, he also won a bronze in the 150m individual medley, he finished eighth in the 200m freestyle and seventh in the 100m freestyle. Andrew Mullen is one of the most promising members of the British Para-Swimming team having won medals at two world championships and the European Championships. Mullen has had a stellar start to his international career, most recently at the IPC Swimming World Championships in Glasgow. Winning a total of four individual medals, two silvers in the S5 200m Freestyle and 50m Backstroke, and 2 bronze in the S5 100m Freestyle and 50m Butterfly. 2015 also saw Mullen set two new European records in the S5 50m Backstroke and Butterfly events. It was the two gold medals the National Performance Centre swimmer claimed at the British Para-Swimming International Meet earlier in the year that sealed his place on the team. 2014 was full of achievement for Mullen also, he brought six medals home from the Eindhoven edition of the European Champs; four gold and two silver. 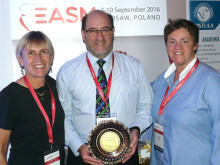 Progress came for Mullen on his IPC Swimming World Championships debut in Montreal in 2013 as the Scottish swimmer won two silvers and a bronze. Silvers came in the S5 50m Backstroke and the SM5 200m Individual Medley. The previous season, he made his Paralympic debut at London 2012, narrowly missing out on a medal as he finished fourth in both the 50m Backstroke and 50m Butterfly. 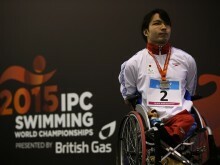 The promise showed back in 2011 by Andrew helped him make his international debut as a 14-year old at the 2011 IPC Swimming European Championships in Berlin. 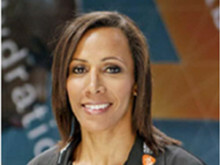 Dame Kelly Holmes, Technical Advisor at the GSK Human Performance Lab, will join leading experts in sport and exercise nutrition at Northumbria University, Newcastle this week. 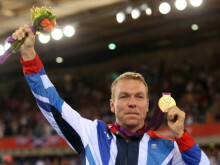 Two of the world’s most famous sporting legends – Sir Chris Hoy and Haile Gebrselassie – will visit Northumbria University next month to take part in a leading international sports conference. 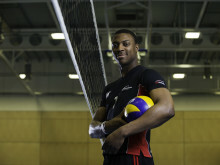 ​International athlete Alan Toward is throwing his weight behind winning a coveted team place at the Tokyo 2020 Olympics after graduating with first class honours from Northumbria University, Newcastle. 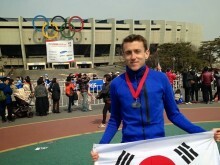 ​A Northumbria University graduate donned his running shoes for an epic challenge which saw him run races in every Olympic city around the world over the past four years. Seven of Northumbria University’s sports teams made their way to the British Universities and Colleges Sport (BUCS) ‘Big Wednesday Finals’ in Bath last week, with three teams bringing home the silverware.